Every possible shade of beige appeared on the Spring '19 runways, and The Row's 'Bourgoise Salome' pumps will complement each one so beautifully. Made in Italy from silk-faille, this pair is inspired by vintage flapper styles and has an elongated pointed toe, a cutout at the vamp and slender foot-framing straps. 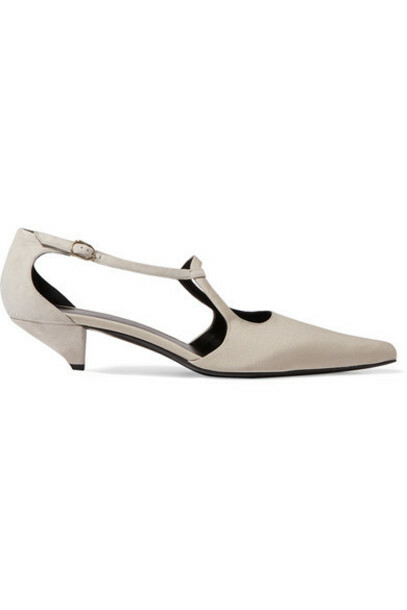 The slanted kitten heel is the perfect height for wearing them straight from the office to an evening event.